The leader of the Roman Catholic Church speaks of climate change and biodiversity. His science is less compelling than his commitment to cultural and ecological unity. That can only be created by reassessing the importance of GDP and recognising that many debts are non-financial. Pope Francis arrives to lead his Wednesday general audience in Saint Peter's square at the Vatican November 19, 2014. Pope Francis demanded swift action to save the planet from environmental ruin, urging world leaders to hear “the cry of the earth and the cry of the poor”. 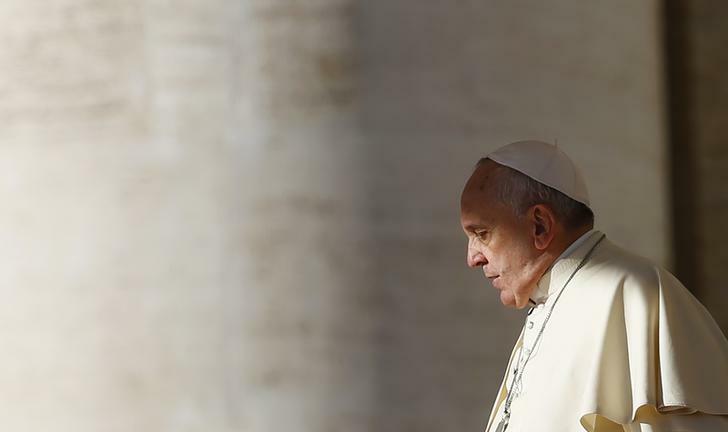 In “Laudato Si (Praise Be), On the Care of Our Common Home”, published on June 18, he called for “decisive action, here and now” to stop environmental degradation and global warming, squarely backing scientists who say it is mostly man-made. Francis advocated a change of lifestyle in rich countries steeped in a “throwaway” consumer culture and an end to “obstructionist attitudes” that sometimes put profit before the common good.